Connecting exceptional candidates with employers of choice. Iowa Career Connection is a boutique search firm, established in 2000. Our mission is connecting exceptional candidates with management and professional career opportunities in Iowa and the Upper-Midwest. We provide contingent, retained and contract placement. Our clients are publicly traded and privately held. They include local, regional, national and multinational firms and members of the Fortune 500. We serve employers of choice across many segments of the economy, including energy, finance, banking, agribusiness, insurance, healthcare, manufacturing, construction and public accounting. Our candidates, with whom we have careerlong connections, are experienced professionals who likely maintain professional certifications such as the CPA, or SPHR designation. Many have also achieved advanced degrees including the MBA. They are motivated to elevate their careers in service to an employer where they can deploy their skill and experience for growth. 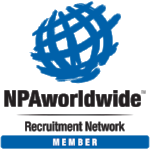 Iowa Career Connection has international reach through our membership in NPAworldwide, a member-owned cooperative recruitment network with over 240 trading partners across the globe. Our search executives have over 90 years of collective experience and have built a reputation with both employers and candidates for professional integrity, customer service, and finding that great job fit. We strive to create lasting and long-term relationships with our friends on both side of the hiring equation. Top Talent. Absolute Integrity. Iowa Career Connection. Subscribe to our Top Talent email. Sign up with your email address to receive our summary of Top Talent on the market and available positions. ©2018 Iowa Career Connection (Retriever LLC) All rights reserved. Iowa Career Connection, LLC is a boutique search firm connecting exceptional candidates with management and professional career opportunities in Iowa and the Upper-Midwest.